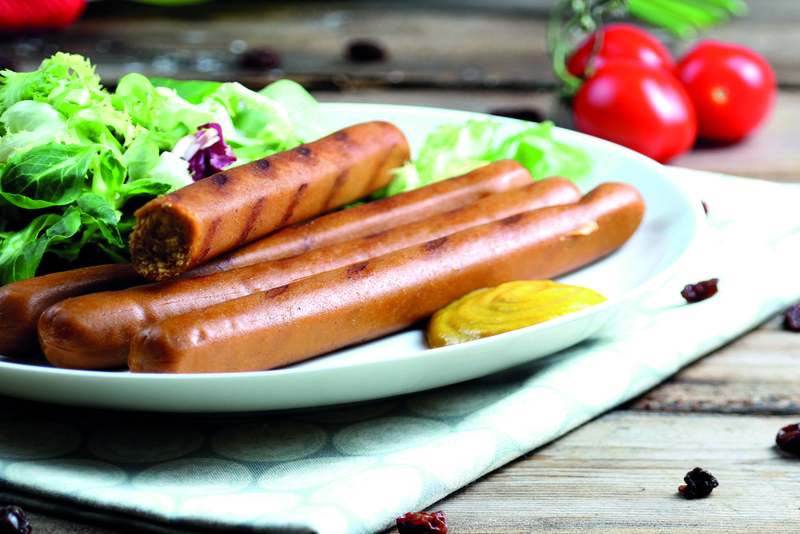 Our Hot dog sausages are also popular with children because of its mild taste and the gentle touch of smoke. In a stew, as a hot dog or out of the pan. With their soft taste they are unbeatable. Lactose-free, without eggs and super-tasty! Wheaty® products are generally suitable for freezing and defrosting. seitan* (water, WHEAT protein*) 82%, high oleic sunflower oil*, yeast extract*, rock salt, spices* (contains MUSTARD*), onion*, thickening agent locust bean gum*, paprika extract*, smoke**. * = certified organic. **= natural beech wood smoke.